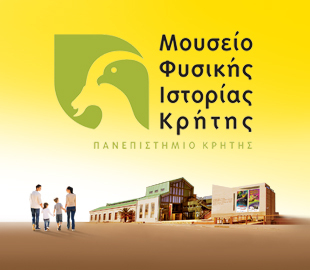 The Natural History Museum of Crete Friends’ Association was founded in 1994, but remained inactive for several years from 2004 onwards. In 2009, following a request submitted to the Court of First Instance, a temporary administration was appointed, new Articles of Association were signed and elections were held. *The next elections for the NHMC Friends’ Association Governing Board will be held in 2018. Georgios Aerakis was born in the mountain village of Anogeia and grew up in Heraklion. In the 1980s, following success in the European parliament examinations, he spent a number of years working for the European civil service in Luxemburg, Brussels and Athens. Mr. Aerakis studied Modern European History in France. In 1993 he was instrumental in founding the Luxemburg Cretan Association, where he served several terms as president. He has also been a member of the World Council of Hellenes Abroad, and a board member of both the European Pancretan Federation and the Nikos Kazantzakis International Friends’ Society. In 2008 he was elected to serve a three-year term as President of the World Council of Cretans, the highest collective body representing Cretans abroad. From 2011-2014 he served as Heraklion Deputy Mayor for Planning, Organization, e-Government and European Programmes. 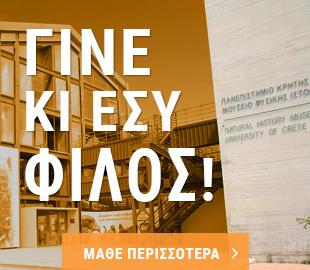 Georgios Aerakis has been President of the Natural History Museum of Crete Friends’ Association since October 2015.